In 2005, I was given the vision of the business I wanted to start. I came up with a name and outlined the services that would be offered. My target market was outlined, and I began making partnerships with other professionals with whom I would work to fulfill the vision. 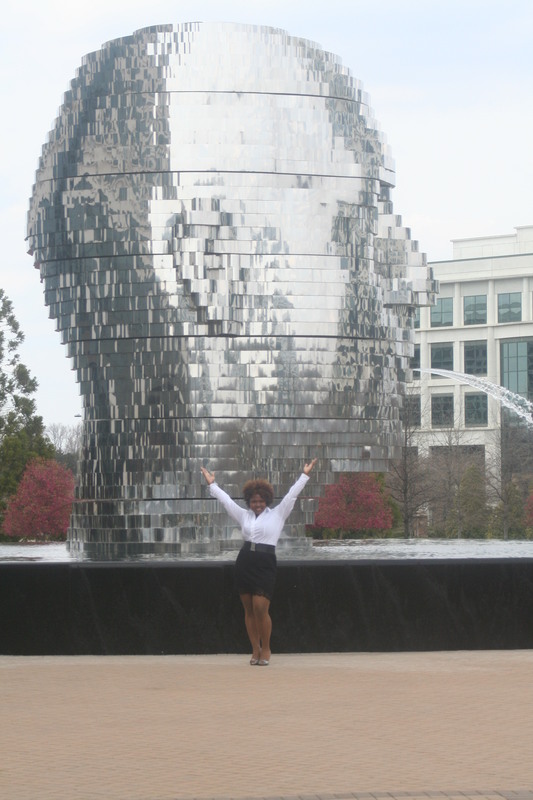 In 2006, I completed my graduate program and relocated to a Charlotte. My goal was to become a business owner, however as a new graduate; I also needed the consistent flow of financial resources that came in the form of a traditional job. It was my intention to save money that would be used to launch my company. Life happened and I got bogged down in the hustle and bustle of working, and because I was in my field, it wasn’t as if I felt totally unfilled in my life. While I wanted more, I became comfortable with feeling content. Eventually, I became unhappy at work, because I wanted more and did not want to be confined by a job description. I also hadn’t saved as much money as I had wanted, nor had I conducted the proper research to learn the steps I needed to take to build the type of agency I wanted. In 2007, my dad was diagnosed with pancreatic cancer and my aunt, who had been sick for quite awhile passed away that year. Feeling overwhelmed with life, I opted to resign from my position and relocated back to my home town of Florence to assist in the care of my grandparents, as my dad wasn’t able to do as much as he could normally, given his prognosis. This was a major turning point in my career, as the change in the atmosphere of our economy rendered me unable to secure employment. As the savings I had acquired dwindled, I became more and more sad and feelings of worthlessness crept into my consciousness On one hand, I was happy to be able to help out my family, but on the other hand, I knew I wanted more. I knew there was more to my life than working for $10 an hour with a Master’s degree, because I decided a little money coming in was better than no money. Nevertheless, per usual, I decided to keep on my happy face, masking what I was really feeling inside. In 2008, my dad passed away. Obviously, it was a very sad time, but what many don’t know is I felt more useless than ever. Still not working in my field, I felt like the major reason in my moving back was no longer there and yet I was still stuck there. I made the decision to open up my job search to Columbia, and within a short while I received a job offer and moved. I was still making considerably less than my education and experience would typically dictate, however I leaped at the opportunity to start at the bottom and work my way up. That’s what we are taught, right? In 2009, my paternal grandmother passed away. Despite the fact she was more like a mother than a grandmother to me, if you been keeping a tally; her death marked the 3rd death in 3 years in the same family. All people with whom I loved dearly. My world was shattered and many familial relationships ruined, something quite typical when death occurs. While I was employed, eventually that unsettled feeling crept up into the pit of my stomach again, and when it became obvious I wouldn’t be promoted; I reignited my job search, deciding to return back to Charlotte as a representation of the last time I was most happy with my personal and professional lives. In 2010, I accepted a job offer in Charlotte and was ecstatic about my “new life.” Well, the transition wasn’t as smooth as I’d like for it to be and I found myself once again working for someone who wanted to stifle my greatness. I was more determined than ever to start my business, but the consistent setbacks convinced me I needed a business degree so that I would be equipped with the proper information to run a successful business. I began working on my MBA and while in that program, I finally penned my business plan. I knew what I wanted to do and became obsessed with opening a nonprofit program designed to assist young ladies with enrolling in and successfully completing college. Through my years of work, I knew this was the best population for me. Additionally, I knew college was a major turning point in my life, so helping others accomplish the same was my way of giving back. In 2011, I was looking forward to finishing my degree and launching my business. While I wasn’t working in an ideal setting; I knew it was only a matter of time before I would be doing what I always dreamed I would. In November of 2011, I received some information that would forever change who I was and how I viewed myself. A positive pregnancy test will do that to any woman, but for me, it sent me into a state of denial because in my mind I went from being a positive role model for young ladies, to the person I worked hard not to become: a single mother. While it wasn’t death sentence, it took me some time to accept that I had let down God. I revisited opening a nonprofit and was led in a different direction. Through my pregnancy, I was reminded that my story can help many, as I was able to reconnect with some true friends who showed me how great of an impact we had on each other. I also had the opportunity to meet some really awesome people who were motivated and refreshed by my story. I began to look at my purpose more broadly, realizing I limited my God-given gifts while He wanted so much more for me. In 2012, I gave birth and my vocabulary is too limited to describe how she changed every fiber of my being. I’ve learned so much about myself through motherhood. My desire to be a beacon of light led to me changing my business plan, as the type of business I wanted to opened changed. Researching life coaching was one of the best decisions I’ve ever made, because it showed me how I can change the world, without limitations. In 2013, my newly-inspired vision came to life with the launching of Infinite Fortitude LLC. It took me many years, many tears, many trials, and many obstacles to bring faithfulness to fruition. Probably because it took me many years to learn to lessons I needed to in order to become the person I’ve been created to be in this world. I am grateful for it all, as it has prepared me for where I stand today. Life happens. Let me help you become who you were meant to be through the services offered by Infinite Fortitude LLC. Your consultation is free. Don’t let life continue to make you ignore that feeling in the pit of your stomach. It took me 8 years to get my dream off of the ground, but it happened because I didn’t give up on myself. I can’t promise you the journey will be easy, but I can promise you that I will be there with you through it all. Visit www.infinitefortitude.com to learn more!